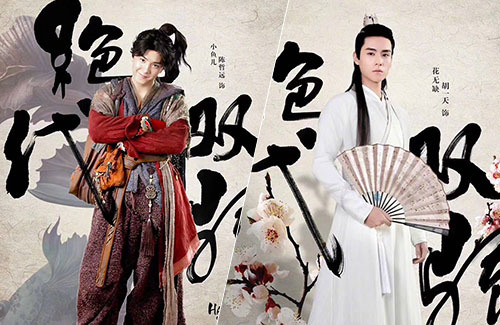 The eleventh adaptation of the popular Gu Long (古龍) wuxia novel has unveiled its character posters for their two main leads. Handsome Siblings, Mainland China’s first official adaptation of Gu Long’s classic novel Juedai Shuangjiao <絕代雙驕>, is the eighth television remake of the novel. Adaptations of the novel first began in 1977 with Taiwan’s TTV. The new remake stars new generation actors Chen Zheyuan (陈哲远) and Hu Yitian (胡一天), respectively starring as Xiaoyu’er and Hua Wuque. Zheyuan is 21 years old, while Yitian is 24. Zheyuan made his debut in the 2016 romantic comedy drama She’s So Pretty <她很漂亮> as a supporting actor. Yitian found fame as the lead actor in the 2017 web drama A Love So Beautiful <致我们单纯的小美好>. 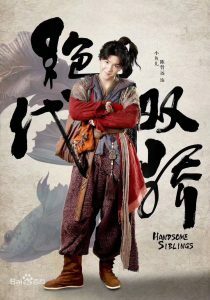 The last Juedai Shuangjiao adaptation was in 2005—The Proud Twins <小魚兒與花無缺>, which starred Dicky Cheung (張衛健) and Nicholas Tse (謝霆鋒). 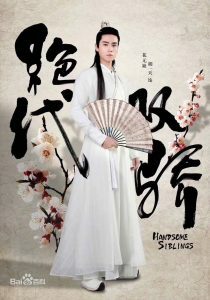 The most popular adaptation, perhaps, was Taiwan’s 1999 version starring Jimmy Lin (林志穎) and Alec Su (蘇有朋). Reportedly, Handsome Siblings will shoot on location across China, including Xiangshan, Wuxi, Yunnan, Ningxia, and Gansu. 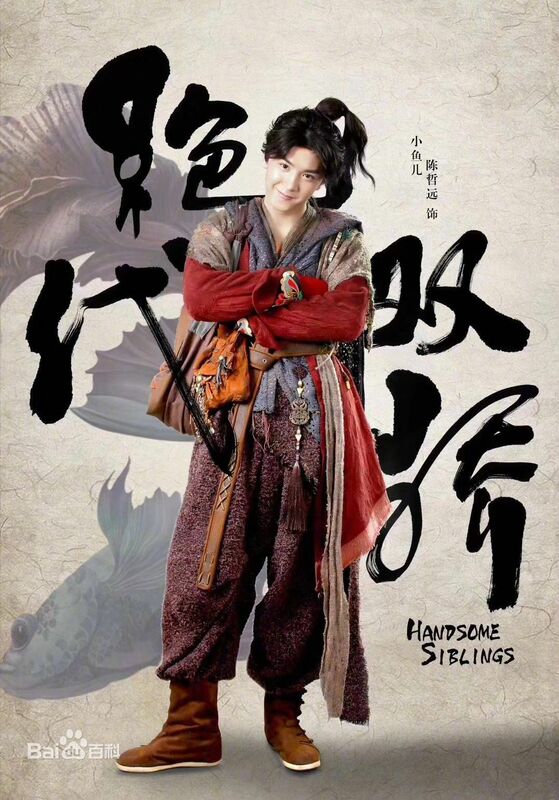 Well, I gotta say, from the posters they do have the vibe of Xiao Yu’er and Hua Wuque. Aside from height difference, they look pretty similar too. I hope they don’t fail! This Xiao Yu’er’s hair and clothes failed me already. It’s an overkill, we know his role is the hyper type but really?